As the end of summer neared, San Diego’s weather decided to get one last hot punch in before giving way to fall. The last several weeks of August/early September were wretchedly hot. Although the local libation providers were already displaying fall brews, I wanted something lighter…more refreshing…to mitigate the brutal heat. Great White seemed to fit the bill. Great White poured a mild yellow with a slight head and lacing. It carried the scent of summer…a light wheat and citrus. And the scent carried through to its taste…light wheat and citrus, with a hint of herb. These are nice traits, yes, but I would have liked to taste them more; as it was, I found myself straining to taste anything. It’s a refreshing beer—the right lightness and crisp flavor for a hot day—but a beer can be refreshing and flavorful as well. 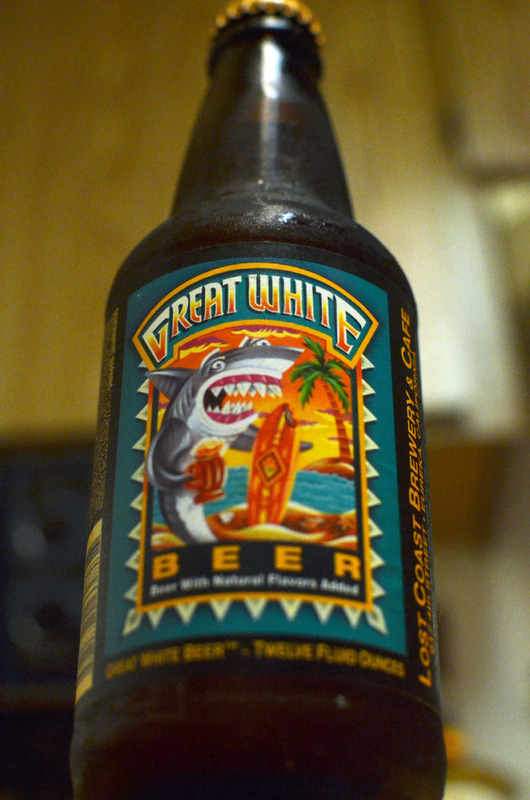 Great White’s cousin, Tangerine Wheat Ale, is a good example of a refreshing beer that’s chockfull of flavor. I don’t think that Great White will find itself in my shopping cart again.